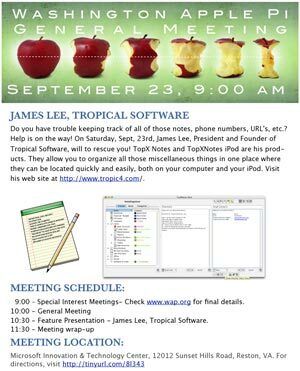 James Lee, President of Tropical Software, will demonstrate TopXNotes, an ingenious way to keep track of notes, phone numbers, account names and passwords, URLs, and other bits of essentials in everyday modern life. There is even a version of TopXNotes for your iPod. 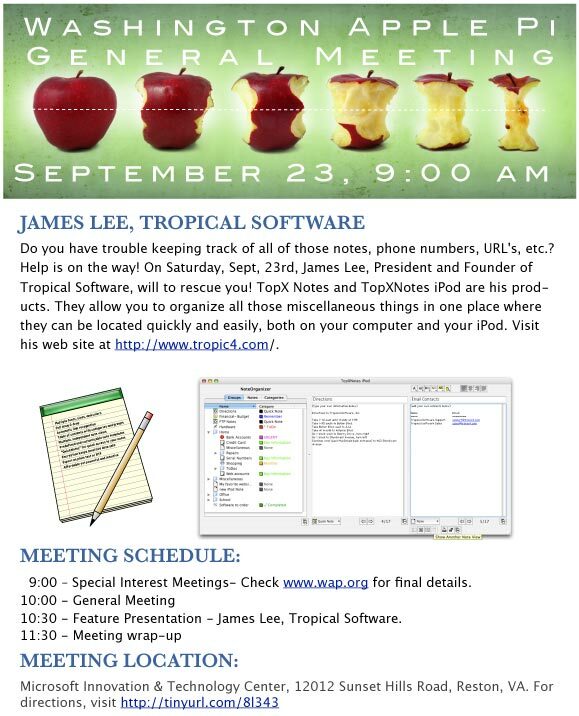 There will also be Special Interest Group (SIG) meetings before the main presentation.